The row over sea eagle poisonings gets fishier and fishier. What's really going on at Glenogil? Just a week ago, The Scotsman carried this story announcing the news that a radio-tagged sea eagle known as 'Bird 89' had been found poisoned with carbofuran on the Glenogil Estate in Angus - except that the bird had actually been found on 6 August (and even then was described as 'decomposed'). This story appeared on the outdoor website grough appealing to hill walkers for information. Meanwhile, on shooting forums dark conspiracy theories are being bandied about. Could it be a disgruntled former employee looking to get the estate into trouble? A poacher getting his own back? Farmers? Shepherds? Perhaps even anti-shooting activists looking to blacken the name of shooting? Or simply a case of raptocidal keepers thinking that, way up a glen with only one access road, they can keep getting away with it? And why did it take more than six months for the eagle's death to be made public? Especially when the finding was perfectly timed to coincide with the start of the grouse shooting season on 12 August, which would have guaranteed huge media coverage. Once again, conspiracy theorists are suggesting funny-handshake connections between estate owners and senior police. In the latest development, both the RSPB and the estate owner, multi-millionaire businessman John Dodd, have complained publicly about the way the investigation is being handled. On 23 Jan, Dodd was reported here complaining that he is being 'unfairly targeted' and hinting it might all be a publicity stunt by the bird protection lobby. Then three days later the RSPB 'launches a stinging attack' on Tayside Police, saying they had failed to investigate the alleged crimes properly. Reading between the lines, it sounds like there's a serious rift between RSPB and the police here - there's a hint of 'stop telling us how to do our job' in the police response. Both Dodd and the RSPB sound positively outraged. Can they both be right? Or is one of them playing a blinding game of bluff? I'd be amazed if the full truth ever emerges - but I'm willing to bet it's stranger than fiction. Chatting to people loosely connected with the estate, I'm getting a picture of a showpiece estate that's tightly run, with keepers and staff looked after well and provided with everything they need to do their jobs. 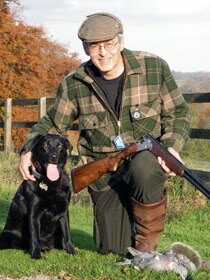 Among the local shooting community, the stories go that the keepers on Glenogil are mostly from northern England, and are all issued with smart new clothing, Benelli shotguns, etc. It seems they don't mix with the locals, and are rarely seen outside the estate. Dodd himself has a reputation of standing no nonsense (which I suppose goes with the territory of running a successful business at that sort of level). He's also reputed to have little time for wildlife investigators. Legend has it that the local wildlife crime officer came round for a friendly chat and a cup of tea, to be met by a small army of lawyers. Encouragingly, everyone I've spoken to, without hesitation, has said that a) they don't believe the estate is killing raptors, b) if it was, they wouldn't hesitate to report it. I have spent several hours today talking to, as they say, 'sources close to' some of the major players in this. Although I can't name sources, I can say that the picture is becoming clearer. On the one hand, those involved in fighting wildlife crime are 100% convinced that there's illegal killing of birds of prey going on. They know where, and by implication they're sure they know who's doing it. Putting together a case that would stand up in court is a different matter. Without that, it would be a brave man who took on Dodd and his lawyers. This could explain the Tayside Police's apparent inaction, which in turn has got the RSPB jumping up and down. Glenogil has, by all accounts, had a phenomenal grouse season in 2009. We're talking thousands of brace, and at getting on for £150 a brace that's serious money. That success is not down to any single activity, but the result of thorough attention to every detail of grouse moor management. If you look up Glenogil on Google Maps, and look at the hills in 'satellite view', you'll see acre upon acre of an exemplary patchwork of burnt strips providing excellent grouse habitat (zoom in and you can even see the rows of grouse butts). Probably the single most important factor at Glenogil has been controlling the ticks that attack grouse directly, and also infect them with louping ill. This has been achieved following techniques devised by the GWCT, an organisation that Dodd has strong links to. These techniques include using sheep as 'wool mops' to mop up ticks, which are then killed by sheep dip. Deer and mountain hare control also play a part. become something of a target for those fighting wildlife crime; his involvement is bound to draw attention to the estate. Interestingly, I'm also hearing mutterings about grouse being bred and released, something that received wisdom says can't be done. If someone has cracked the problems of how to do it, now that would be a story! D. McLeod: This sea eagle did not die in August 2009. It died in March 2009, but the RSPB people could not locate the dead bird until they brought in an expert tracker in August 2009. IMG_2848, originally uploaded by james.marchington. An advertiser sent in an 'indestructible' dog bed for testing today, so I've set my professional testers to work. Comfort rating: ****. Washability: *****. Indestructibility: reserving judgment on that one. Bracken has reduced the previous (cordura) one to ribbons. It's amazing how fast Bracken is growing. At her last weigh-in at the vet's she was a whisker away from 11.5 kg. A bunch of tweed-clad people with shotguns and gundogs on privately owned farmland are more likely shooting pheasants than training to be terrorists. 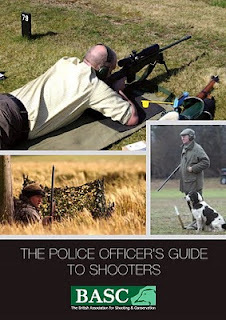 We know that, but judging by several recent over-reactions the police don't - so BASC has updated its Police Officers' Guide to Shooters. You can download a copy here. Let's hope the police actually read it. Perhaps while they're at it they could consult the Police Officers' Guide to Spotty Well Meaning Students, which could avoid problems like this one (presumably paid for out of my taxes). I'm not anti-police, far from it. But I can't help feeling there's a wider problem here than just an inability to tell a shooter from a terrorist. 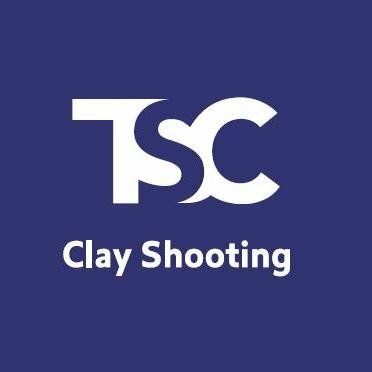 There's a right row brewing between BASC and the other shooting organisations, and no mistake. It's all over the consultation on DEFRA's draft Code of Practice for the Welfare of Game Birds. The GFA, NGO, GWCT, CLA, CA and NFU are all backing 'Option 2' which calls for all 'raised units' to be enriched, and would ban barren cages. BASC is backing 'Option 3' of banning cages full stop - placing it in the same camp as rabid anti-shooting organisations Animal Aid and the League Against Cruel Sports. It's not the first time I've seen BASC taking a counter-intuitive line like this. I do wonder whether they have some vision of shooting's longer-term future that they haven't got round to sharing with the rest of us? Where did the woodcock go? Well, it sounds like some of them moved to Northern Ireland in an effort to escape all the snow and ice we've had here. Peregrine's Bird Blog reports seeing many more woodcock in the Strangford area in the last couple of weeks - and he's managed to take a couple of great photos of them in flight too. After plucking those pheasants the other day, I decided to put the tail feathers to good use. Before we know it, it'll be time for fishing again - and I just about used up my stock of goldhead nymphs last year. So I dug my fly-tying kit out of the cupboard and got started. The tube of superglue had dried up, and I'd forgotten the patterns. This one took me most of the evening, and I'm not really happy with it. With a bit of luck, now I've got all the gear together and reminded myself how it works, I'll speed up a bit. I hope so, or I'll still be tying when the season starts! Today was the day of the annual squirrel shoot - a family affair with my dad handling the poles, me with the gun (the trusty pump-action Remmy), and assorted others as general helpers doing vital jobs like spotting the dreys and helping to lug the poles around the woods. Along the way I was able to spot which rabbit burrows are active, in preparation for ferreting in a week's time. I was amazed how dark and orange the rabbit pee looked in the snow. In some places it was almost like blood. Perhaps it's that colour all the time and we just can't see it. Or maybe the weather has made the rabbits a bit dehydrated, so their urine is more concentrated than normal. UPDATE: Daughter Emma, who's practically a vet (2 1/2 years to go!) has looked into this and tells me that blood in the urine can indicate Viral Haemmorhagic Disease, uterine cancer, or various rare conditions. However, there's also some documented evidence that a) the urine of perfectly healthy rabbits can vary from almost clear to dark orange/red, and b) one factor that seems to make it darker is cold conditions. So, unless all our rabbits have got VHD at once (unlikely), it seems that the cold snap is the cause, and the snow just allows us to see it. If you have any more info on this, do let me know. Anyhow, the bag was five squirrels, a big improvement on last year when we saw next to nothing. One particular success was getting a squirrel out of a hole in a big tree, using the cunning tactic of lobbing snowballs into the hole. For one drey, my Australian nephews abandoned the poles and used snowballs instead - it worked, and out came a squirrel! Skye and Bracken came too - Skye doing her best to act like a proper gundog, and Bracken showing more interest in rabbit poo than anything else. She is still excited every time she sees the snow, and rushes around snuffling it - throwing it in the air with her nose and trying to catch the pieces as they fall. Bracken is growing at a phenomenal rate, and had reached 8 1/2 kilos at the last weigh-in. All this cold weather doesn't make house training any easier, of course, but we'll get there in the end! No.1: Peacock 'Giant' handwarmer. It's stainless steel and runs on lighter fuel (not so easy to find nowadays, to prevent chavs drinking the stuff, or maybe it was to prevent terrorists using it to blow up planes. I forget. Anyhow, shops un-PC enough to still stock tobacco generally have it hidden under the counter). Fill it up, clip the wick in place and fire it up with an ordinary lighter. There's no flame, just a gentle red glow from the platinum catalyst in the wick. Hey presto, a warm glow in your pocket which lasts at least 36 hours (24 in the standard sized version). No.2: Stainless steel hip flask. I got this one on eBay for about a fiver. If you aren't such a cheapskate as I am, Purdey's have a nice one at £260. Fill it with home-made sloe gin. My tipple was made by Harriet, our sub-editor (must ask her which recipe she used) and bottled in a splendid old-fashioned flip-top bottle with labels she designed herself too (see below). If you didn't get round to making your own this year, Gordons make an acceptable version, £16 at Tesco's. Hey presto, a warm glow inside that lasts well into the next drive. My younger daughter, Vicky, gave it to me for Christmas, and by lunchtime on Christmas Day I had ham-fistedly flown it into a tree - causing all sorts of structural and mechanical damage. I scoured eBay for the spares (2 main drive shafts and the bodyshell) and they arrived yesterday, so last night I spent several hours working with glue, solder and some very fiddly screws. Wouldn't it be interesting to rig up a video camera looking straight down the gun barrels, so you could see how the gun tracks the bird, maybe even follow the shot pattern and see the lead required to hit a driven pheasant? That's what I thought, so last night I spent some time destroying one of my favourite Musto caps in order to fit a lightweight video camera to the peak. And today I wore it on a couple of drives to see how it would work out. And finally I took a beautiful right-and-left (or under-and-over in fact), only to discover that the camera wasn't aligned with the barrels at all, and I was actually filming the breech end of the barrels. Ah well, back to the drawing board (and probably taking a knife to another Musto cap). Still, it was a beautiful day to be out, I shot a couple of brace and I won the sweep, so I'm not complaining! ...get even. Some little scrote got a catapult for Christmas - and is now driving round the neighbourhood in the early hours of the morning firing stones through people's car windscreens. Along with several of our neighbours, my wife's car had its rear screen shot through last night. Autoglass - the people who offer a 24/7 emergency service - can't possibly do anything about it until Tuesday. And Tesco insurance, who are never backwards in upping the premium, cheerfully inform us that there will be a £75 excess to pay - after half an hour hanging on the 0845 line being reminded how very important our call is to them. Anyhow, in the absence of any constructive help from the people funded by my taxes, I thought perhaps I could apply a bit of specialist shooting knowledge to the problem. After all, a couple of lowlifes in a hot hatch can't be so different from a marauding fox. Don't panic, I'm not reaching for the .243, tempting though it might be. But I have set up the Deben ProStalk trail camera overlooking the front of the house. And I'm wondering where best to wait up - in the bedroom overlooking the street (where it will be nice and warm), or in a vehicle down the road, where I'll get a better view of their numberplate. I love this pic by Nico Morgan (found on his Flickr pages) - it pretty much sums up this shooting season for me!